Services - C-I-T | Manufacturing Innovation. World Class Customer Service.C-I-T | Manufacturing Innovation. World Class Customer Service. product or just be your outsourced production house and everything in between. Working with CIT is easy and complete. We can handle everything from custom design work, tooling, prototypes and custom manufacturing for you. It’s a characteristic of our approach that many of our customers find invaluable. You’ll find that quality is at the center of everything we do. It’s at the core of our approach. Customer satisfaction is our number one priority. 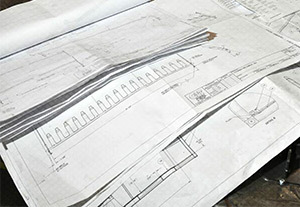 CIT’s engineering department is staffed with qualified engineers and designers that develop creative designs using the latest 3D modeling software. CIT’s original facility is being used to assemble the physical therapy table lines. Having these diverse resources allows CIT to be a “one stop shop” for design, prototype and production requirements. 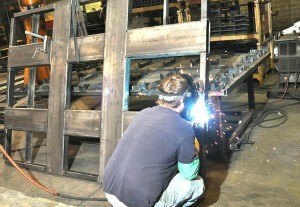 Add years of quality focused experience to your next manufacturing project. At C-I-T we have run thousands of jobs and found efficiencies in every corner of the process. Learn more about the C-I-T process by viewing our Process Flowchart. CIT has over 100,000 sq feet that is utilized to produce custom steel shipping racks and containers, custom cabs and canopies, foam dunnage fabrication and physical therapy tables. CIT takes the customers part specifications and designs a rack around it. From 100 per order to 1000 per order, CIT’s equipment can handle any amount. Our design engineers utilize the latest hardware and the most up to date software. All equipment is supported with calibrated inspection machines and instruments capable of running short run production or prototype tooling and parts. CIT’s in-house shop produces high tolerance part, tool or sub-assembly that demands precise manufacturing techniques using the finest materials. Prototypes are a critical part of the design process and CIT believes that prototyping can reduce the overall risk and cost of a project. CIT reviews customer’s racks and suggests modifications that will best fit the customer’s needs. CIT repairs customer’s containers to bring them back to a “like new” condition.